The rental business is booming, especially since more and more people would prefer to rent or lease an item or property instead of purchasing it. They could be of short term use only, which is why renting is preferable. For apartments, it is possible that they cannot afford to take out a mortgage just yet. 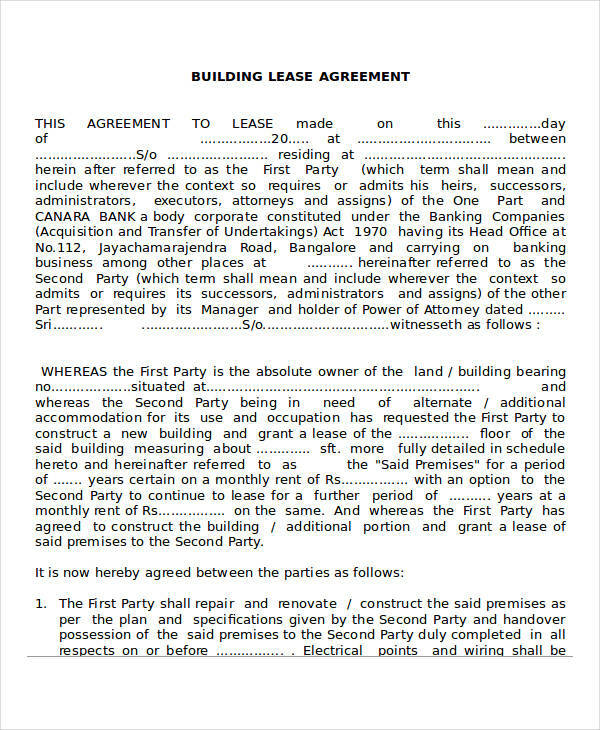 Writing General Agreement Forms is a must for business owners, no matter how small their business may be. Renters are not an exception. 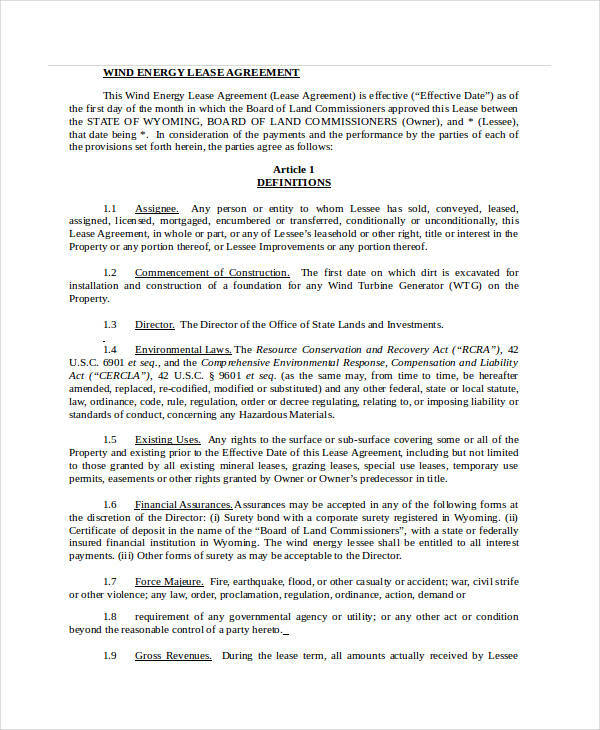 Agreement Forms, in the sense of its name, is a legal document that properly stipulates the agreement between two or more parties. For example, Child Support Agreement Forms allow parents to stipulate an agreement for how much the amount of child support is to be given for the expenses of the child and how these payments are going to be made. 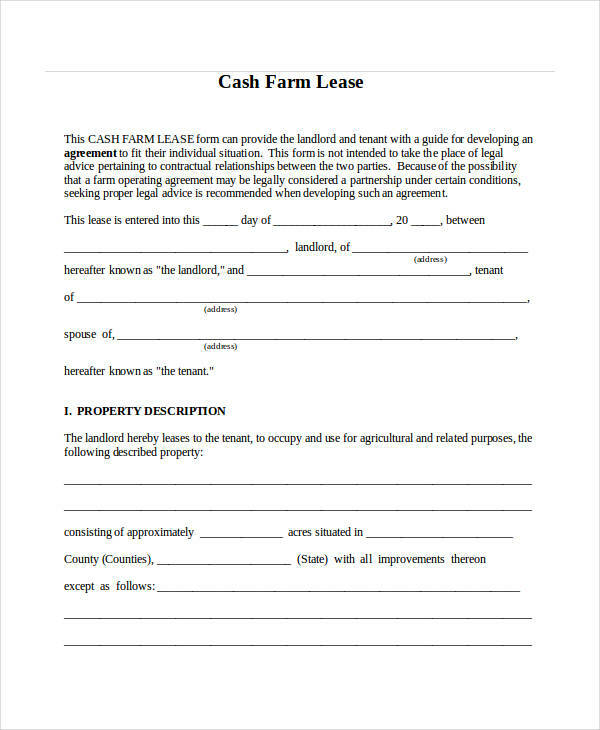 What is a Lease Agreement Form? 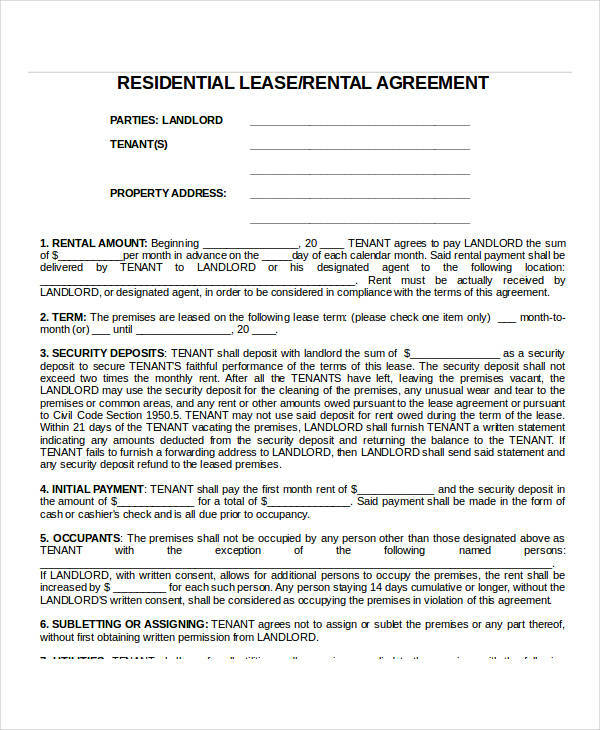 A Lease Agreement Form is a legal document drafted by renters or property owners to indicate the terms and conditions that come with a lease. This is entered into by two parties, namely the lessor and the lessee. The lessee is the one renting any kind of property or item from the lessor. 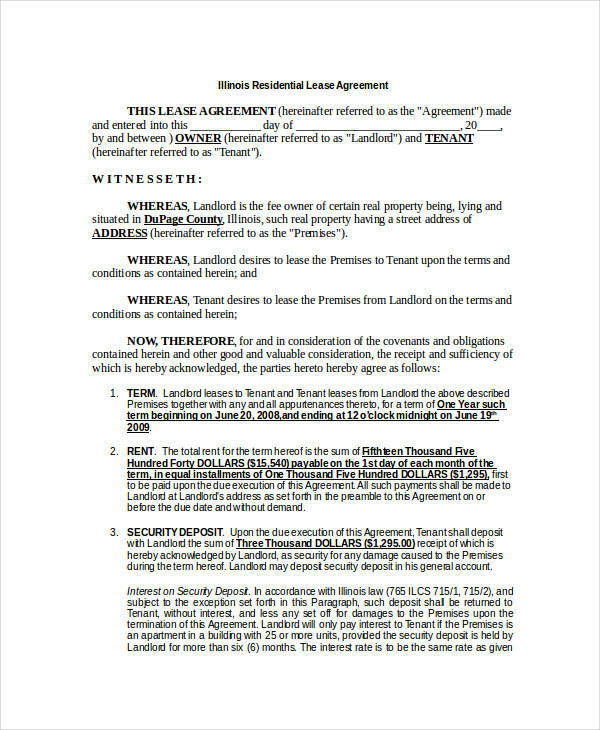 For residential leases, the lessor is also known as the landlord, and the lessee is also known as the tenant. There are also individuals who find it more cost-effective and practical to purchase a property rather than to keep renting it. 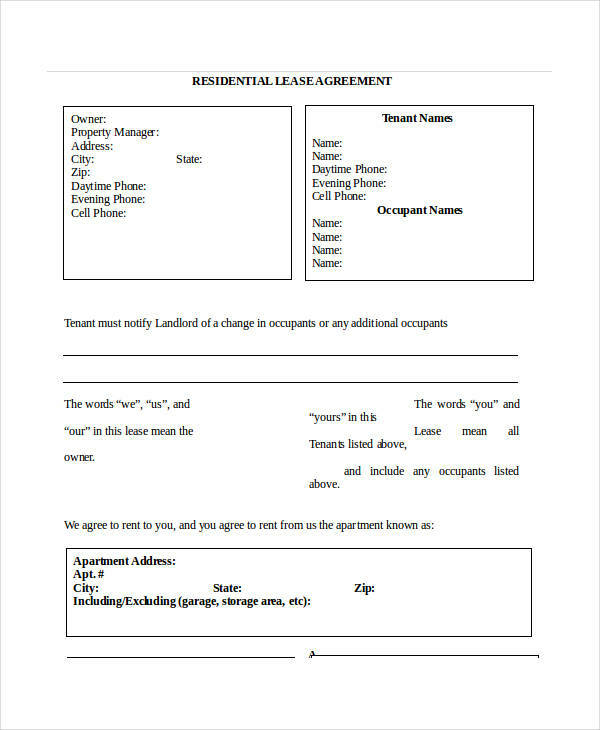 For such individuals, Purchase Agreement Forms are of use to them. 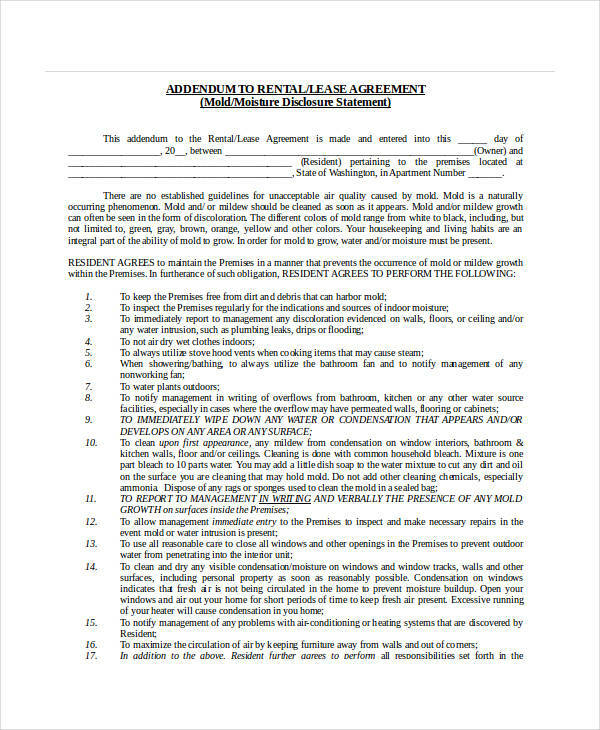 These agreement forms are used to stipulate the terms and conditions necessary for the sale or purchase of vehicles, equipment, houses, and any other property. 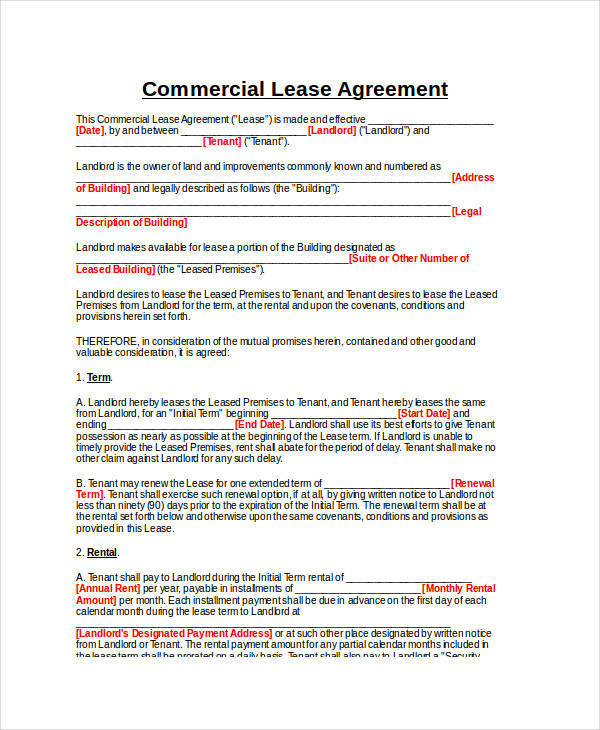 Before filling out a Lease Agreement Form, it is important to read through it first so that you know what you will be getting into. Make sure that you understand all the terms, conditions, and restrictions stipulated on the agreement. You should then fill out all the applicable fields completely and accurately, and sign your name and signature at the end, along with the current date. 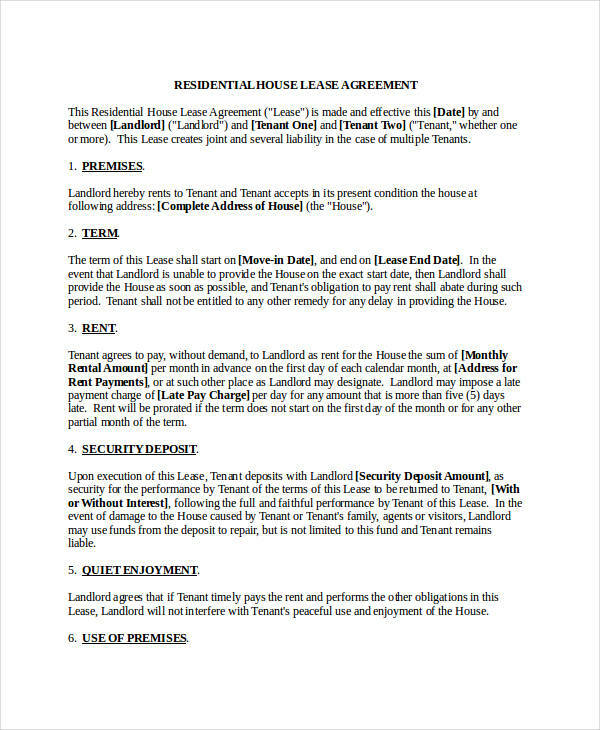 You may also see our Tenant Agreement Forms for examples of residential lease agreements. 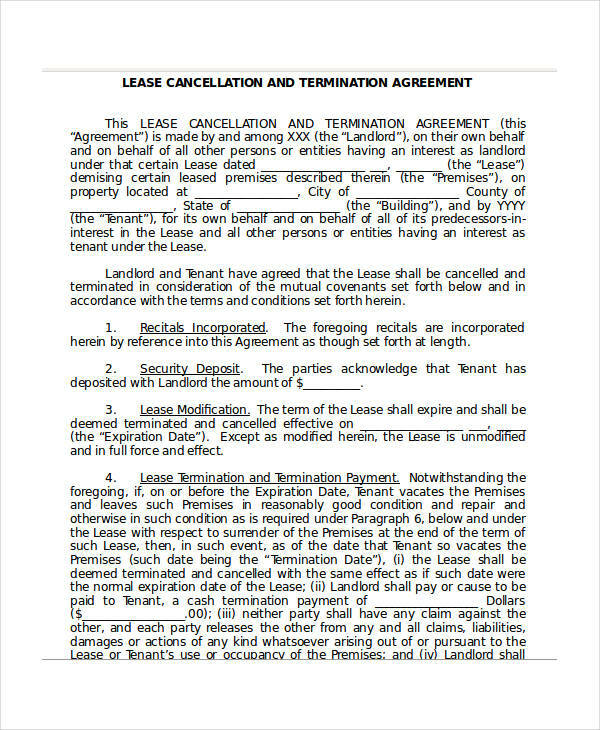 Write the title of the lease agreement in such a way that it will be clear to the lessee that it is a legal contract, and also to indicate what kind of lease agreement it is. This is also practiced in every Business Agreement Form. Indicate all parties, which in this case are the lessor and the lessee. Indicate the name, address, and contact details of both parties. 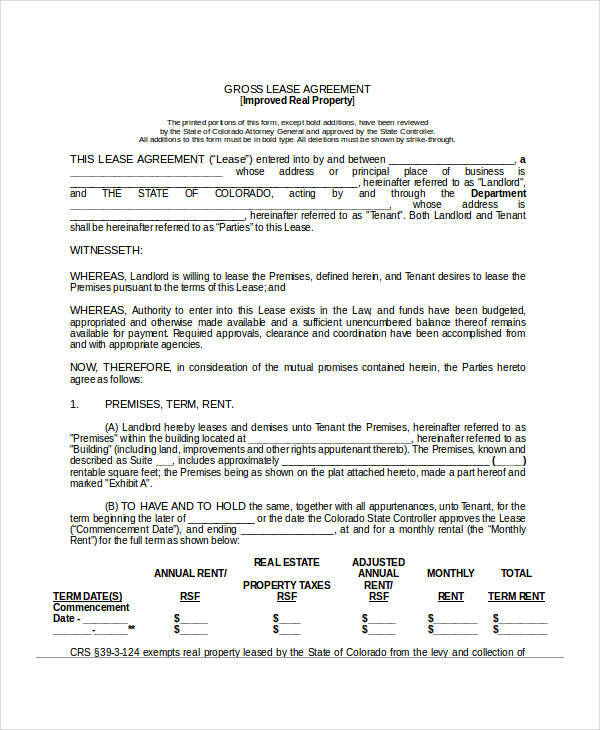 Describe the property or item that is being leased. If it is an equipment, you should include the make and model, year, color, and serial number of the equipment. 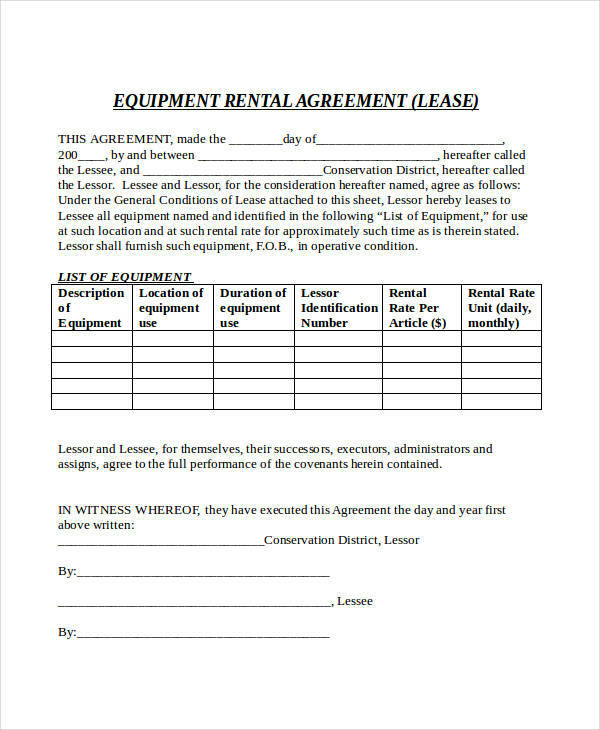 If you are using the equipment for construction purposes, you may also need Construction Agreement Forms. If it is a residential property, include the complete address of the property, such as the house number, street, city, state, and zip code. You may also include the condition of the property at the start of the lease. 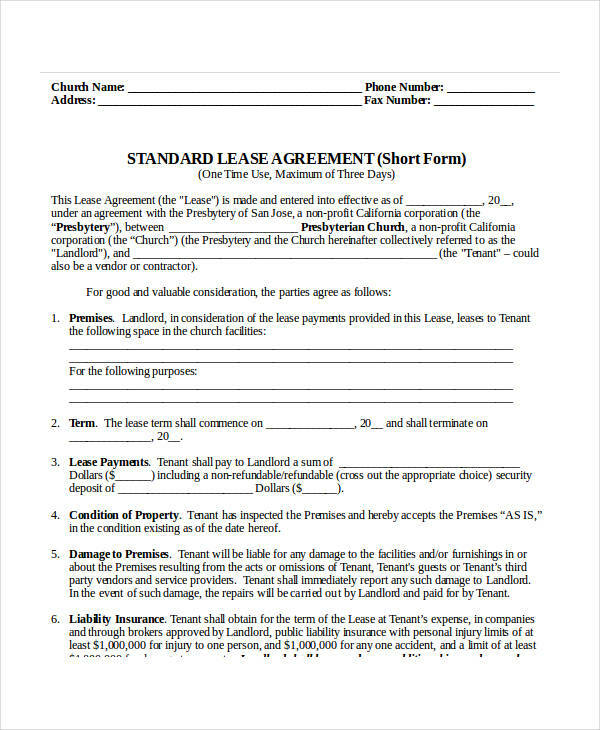 Indicate the term or length of the lease. 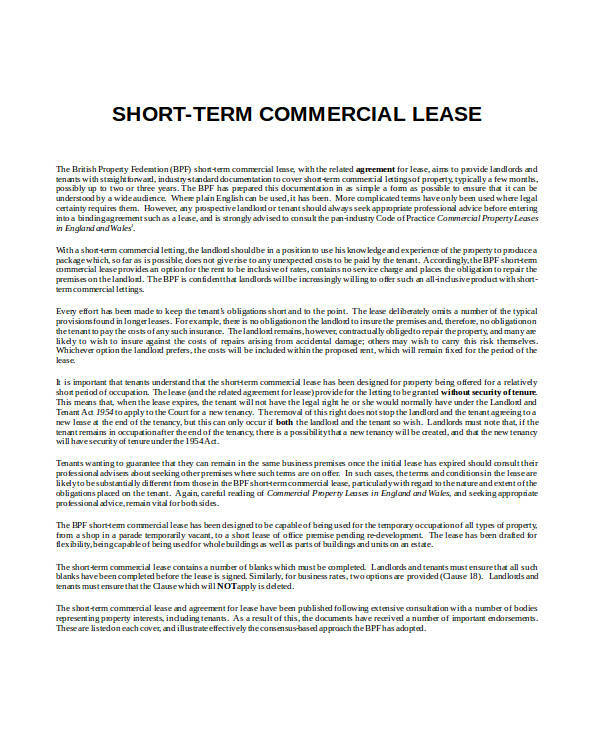 This should indicate the specific date that the lease will start and end, and not just a mere length of time. If you provide an option for early termination under certain circumstances, this should be indicated as well. Every agreement form has a term, especially Personal Loan Agreement Forms that stipulates a term for the repayment of the loan. State all fees or funds associated with the lease. If there is a late fee for every day that the rental payment is late, the amount should be indicated. If there is a security deposit, the amount should be indicated as well, along with the circumstances that would cause the security deposit to be forfeited, such as damages to property. Indicate all the restrictions, if any, and all the obligations and responsibilities of both the lessor and the lessee. The last section is a part where both the lessor and the lessee is to affix their names and signatures, along with the current date. Business owners need office and storefront spaces where they can operate or set up shop, and most of them would prefer to rent out a property instead of buying it, since it would require lesser capital. 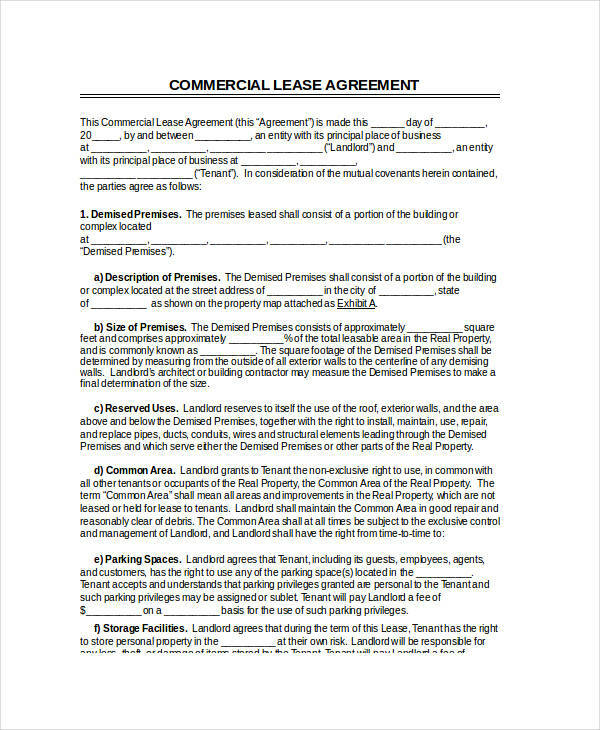 A Commercial Lease Agreement is used by landlords to protect their interests for the lease of their property for commercial or business use. Aside from offices, business owners would also need various services to operate. 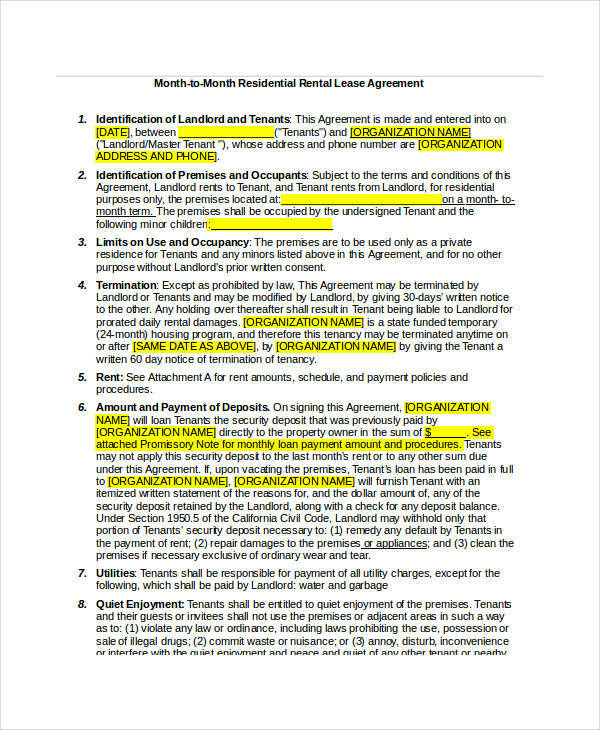 For such transactions, Service Agreement Forms are used. Service Agreement Forms may also be used by businesses who provide various services. 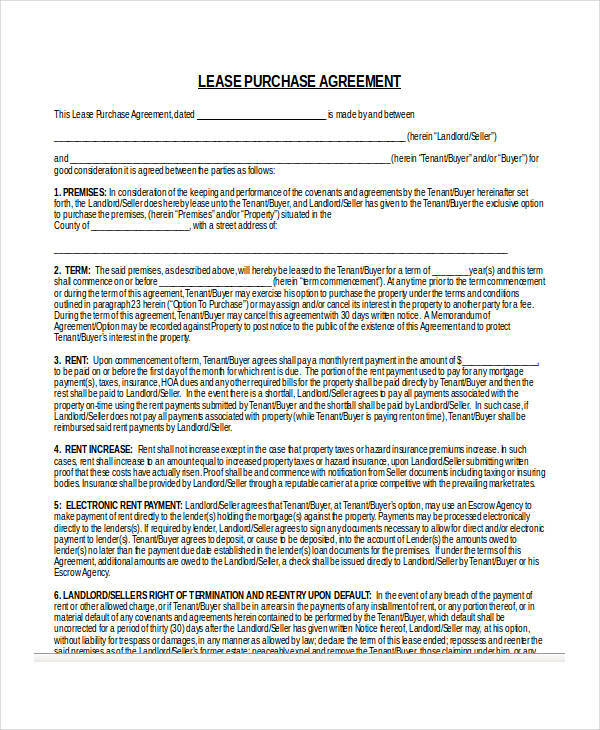 You may also see our Sales Agreement Forms in PDF format. Follow the laws of your state. 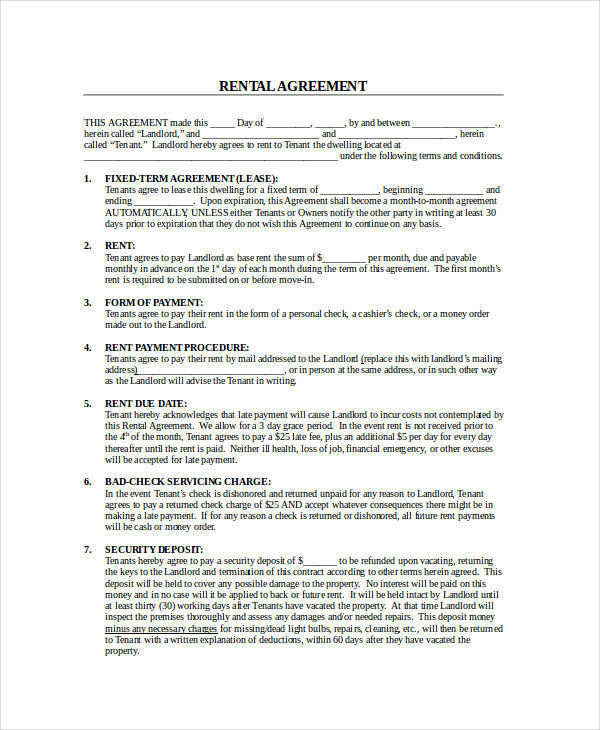 There are different laws pertaining to rental agreements per state, so it is important for every lessor or renter to find out the laws in their state and write their lease agreement in accordance with these laws. Seek the assistance of an attorney. 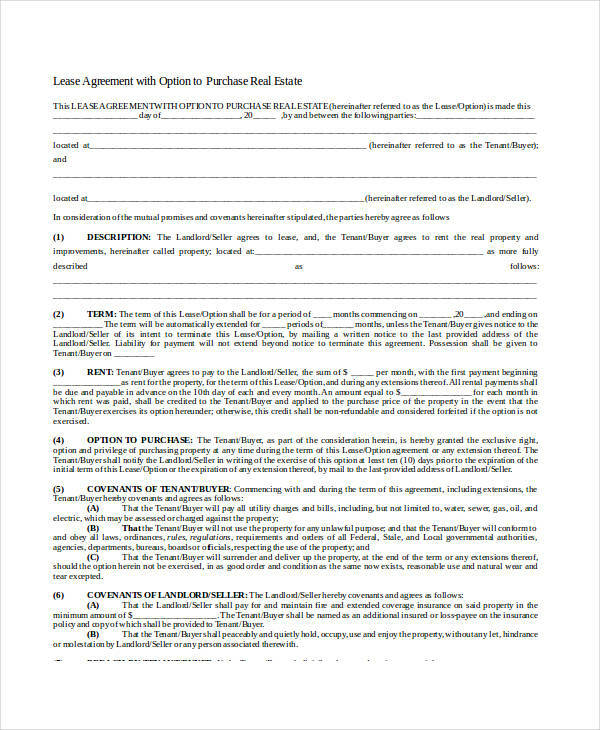 Once you have finished writing the draft of your lease agreement, have an attorney review it so that he can check if everything on your agreement is enforceable and legal, and also to make sure that you are covered for every possible problem that you might encounter. 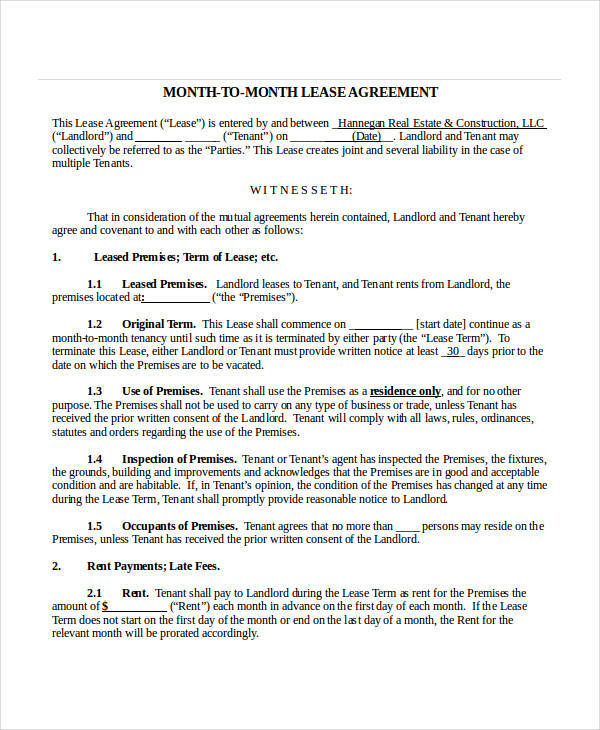 Why is a Lease Agreement Important? Like any other business, it is important that the interests of the lessor or renter is protected by the use of a Lease Agreement. When a business owner’s interests are protected, this will help ensure the continuity of the business. This is because the owner can do away with having to deal with disputes. These disputes can lead to lawsuits if the owner fails to take action, and lawsuits can be pretty expensive. 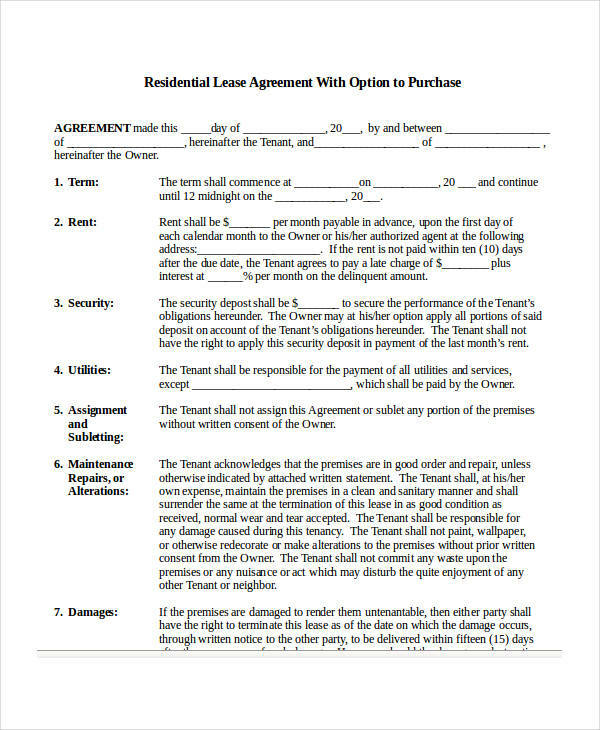 Like Separation Agreement Forms, Lease Agreements help the lessor and lessee move on. After the end of the lease, that is. 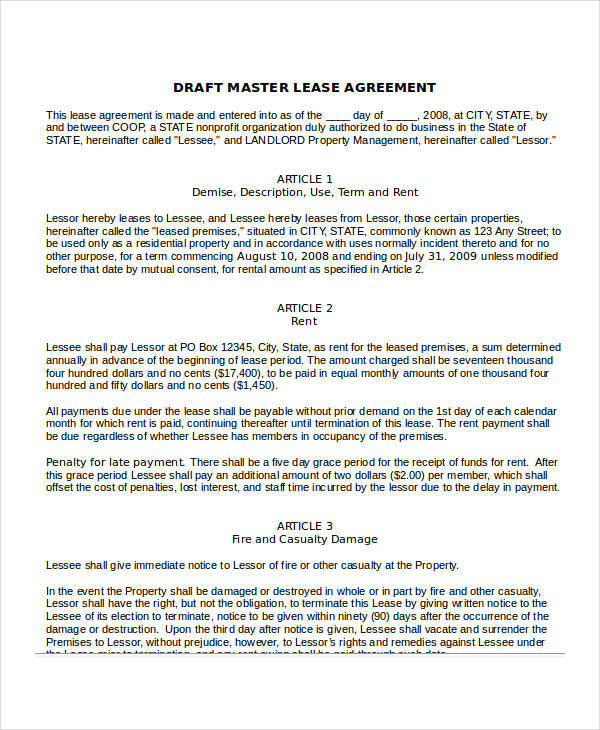 Because everything is already spelled out on the Lease Agreement, there are lesser disputes and the separation between both parties can be as graceful as possible. 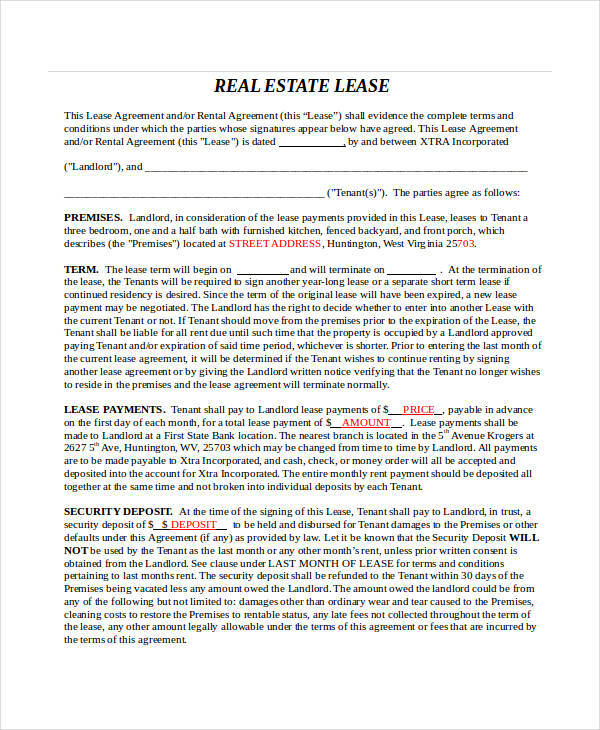 Lease Agreements also helps lessors protect their property. 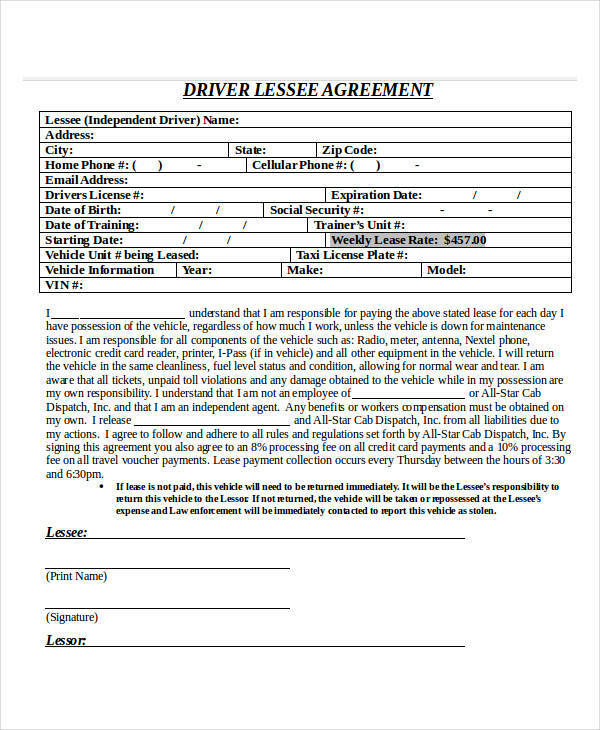 For example, for the lease of a vehicle, the use of the vehicle has to specified in the lease agreement, and the lessee cannot use it for any other purpose other than what it is intended for. Also, if there are any damages to the property other than the normal wear and tear, it can be indicated as to who will shoulder the repairs. You may also see our Non Disclosure Agreement Forms to prevent employees from disclosing trade secrets in your company.